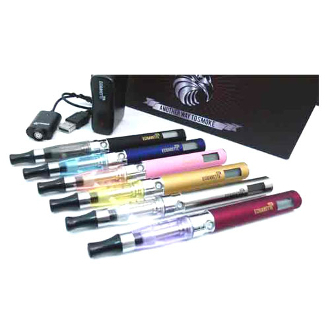 The new eGo Clearomizer Kit is the latest in the market. The clearomizer can hold from 1.6ml up to 6ml of e liquid. In the kit you get two 650mAh/1100mAh batteries with lcd screen. The display screen will show the user how much battery power is left and exactly how many puffs have been taken on the ego electronic cigarette. Just like a cell phone, the battery life is shown through the LCD screen. The user can see when the battery needs to be charged and when the battery has a full charge. The screen will show “OFF” when the battery is turned off to save the charge.